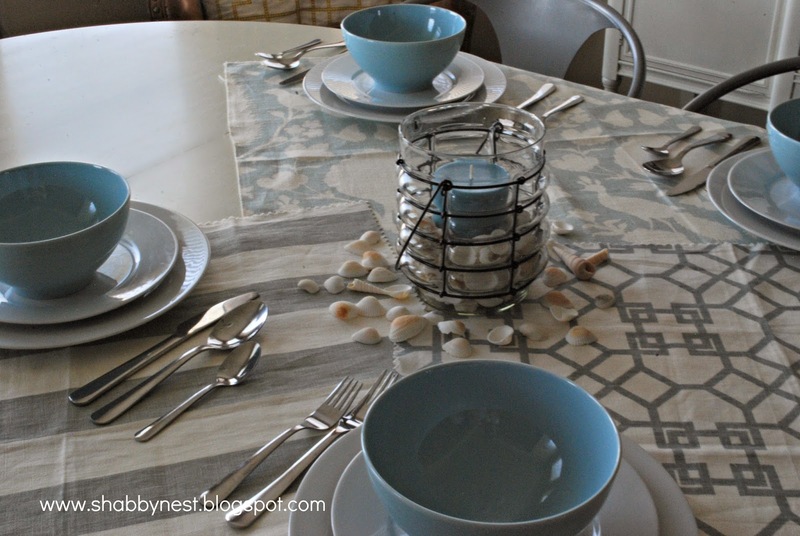 So why not take the time to make dinner more an event by using pretty place settings instead of dragging out the same old dinnerware night after night? 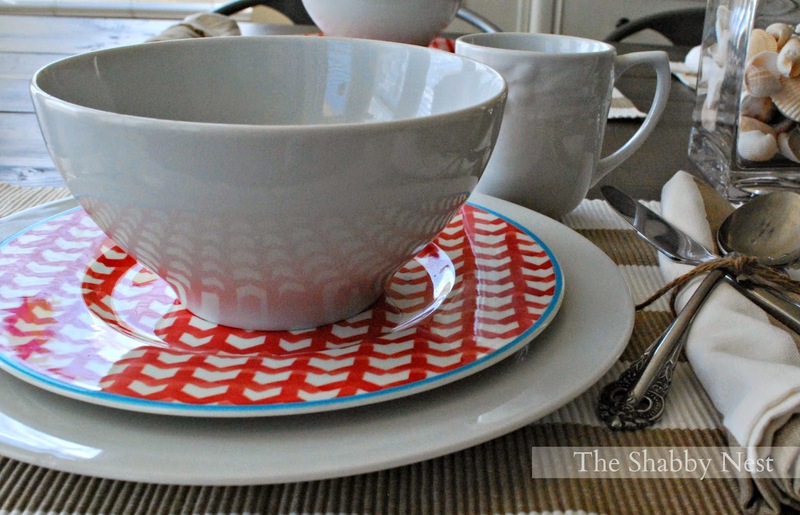 Or if too much pattern just isn't your thing...keep it simple by adding a single patterned piece to your place setting. 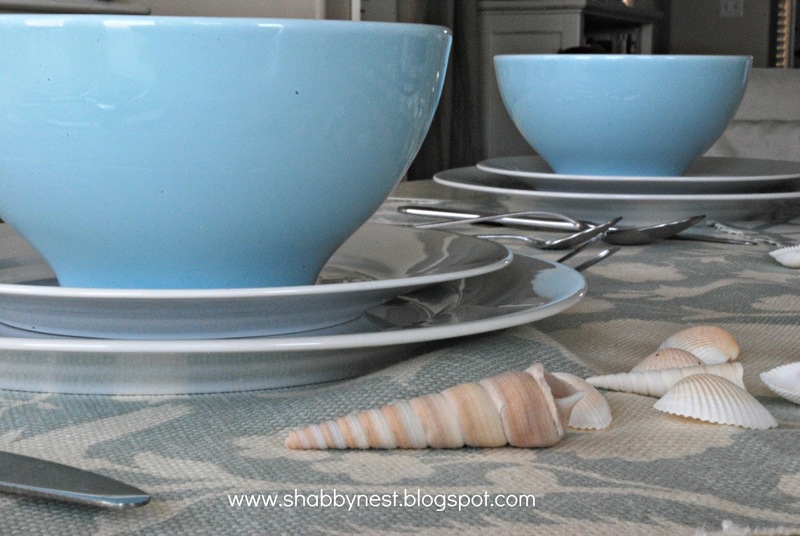 I love this serene beach-y tablescape just as much. 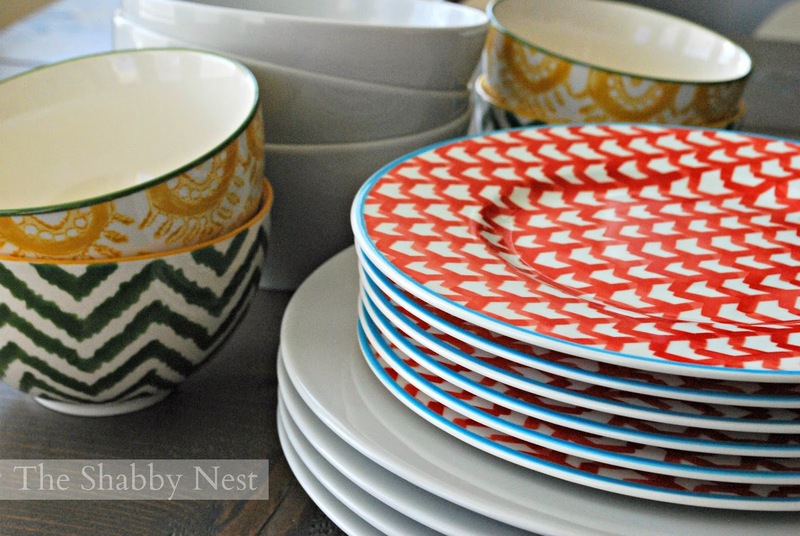 I created the entire thing with inexpensive IKEA dishes. 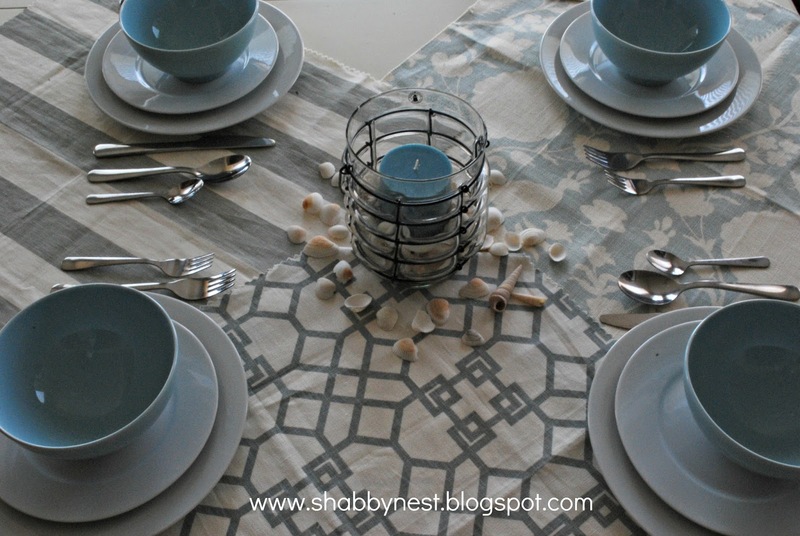 The table runner is created using fabric scraps... Who says you need to use a tablecloth? 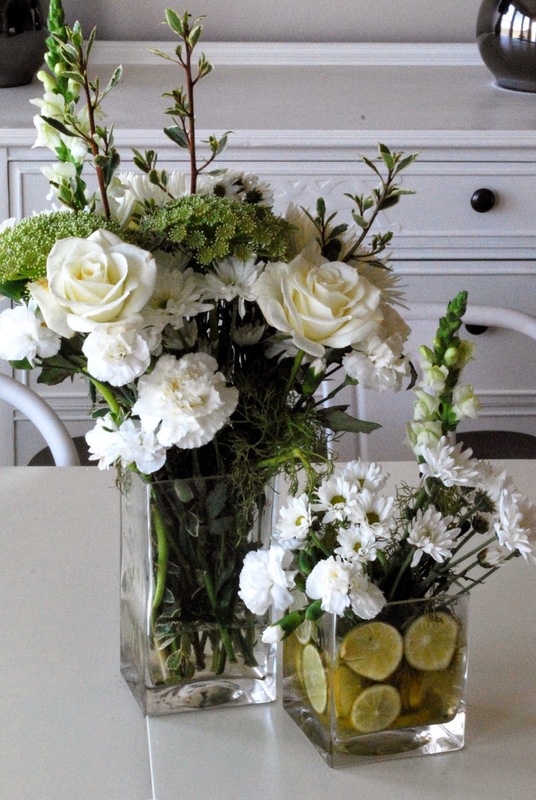 And finally, for a festive centerpiece, try cutting up some fresh limes and using them as filler in a vase before adding a store-bought bouquet. 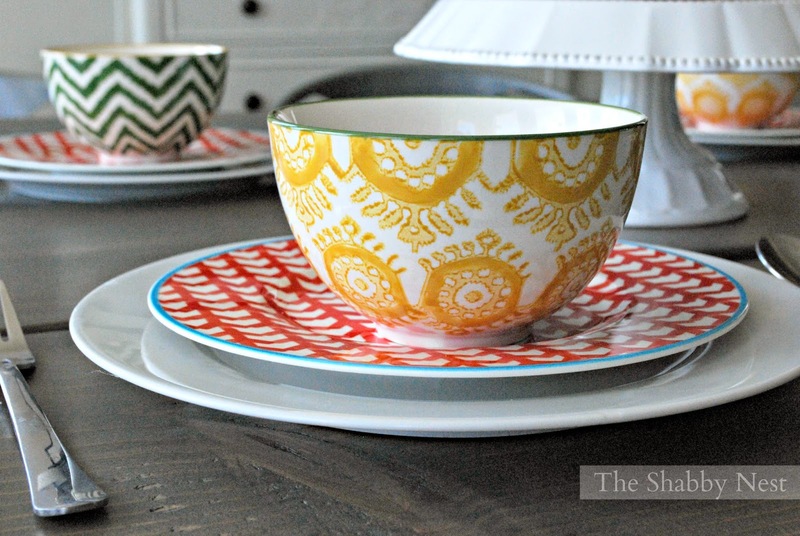 Quick, easy and inexpensive, but the look is custom. Love it! Hello! I know you may be past the days of blog awards but I do so enjoy your blog and feel you are deserving. I have nominated you for 2 awards! Please check out my post http://thecuratorscollection.com/2014/07/13/here-i-grow-again-nominations/ If you choose to accept.